Save Additional $449.70 When Paying With Bank Wire. You pay $14,540.30. 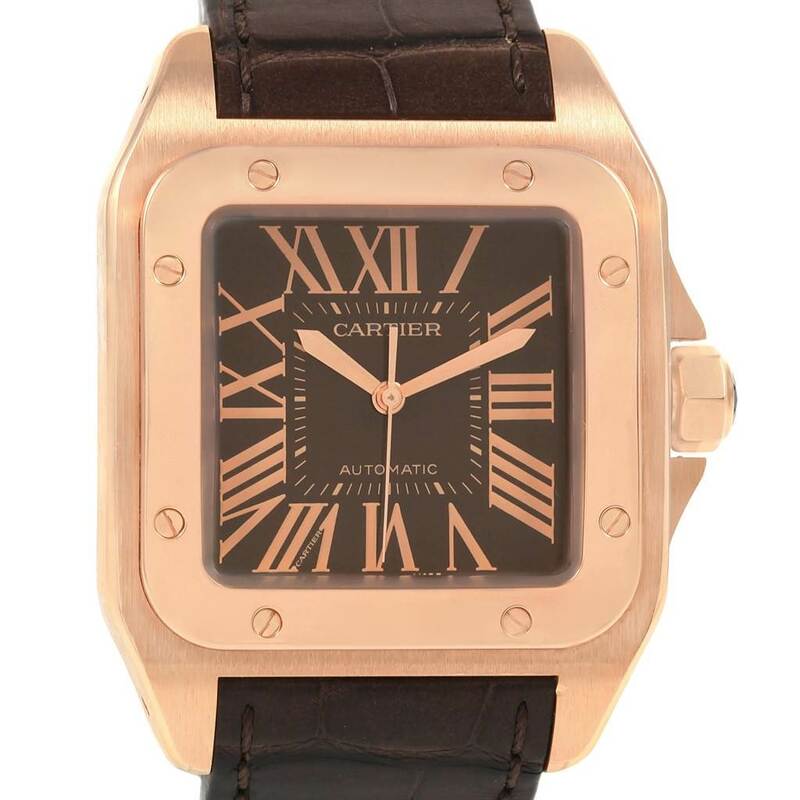 18K rose gold case 38.0 x 38.0mm. Octagonal crown set with the faceted sapphire. 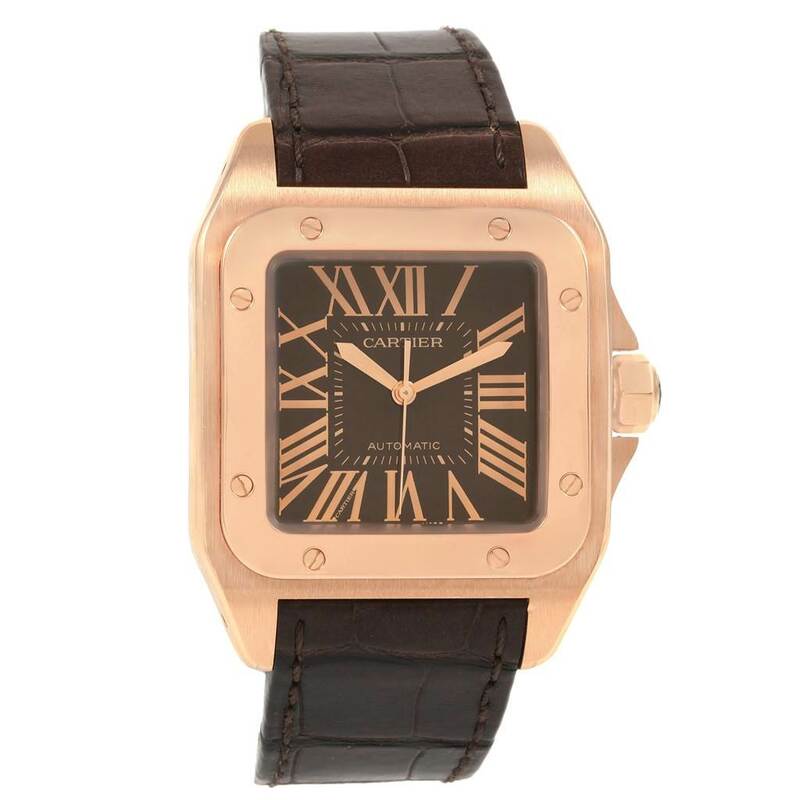 18K rose gold bezel punctuated with 8 signature screws. Brown dial with painted radial roman numerals. Inner minute track. Sword shape rose gold hands. 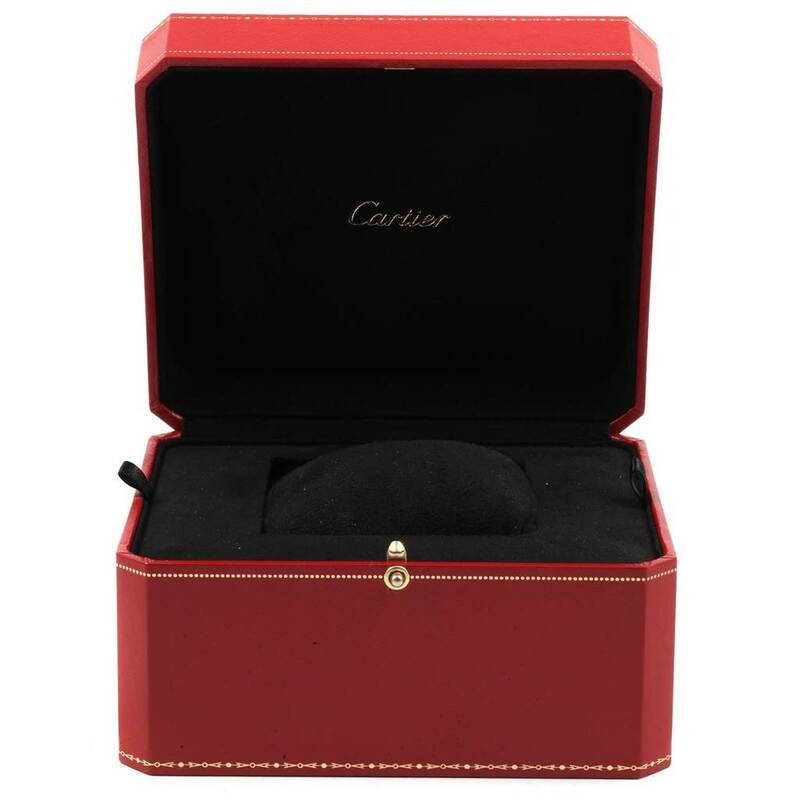 Secret Cartier signature at VII. 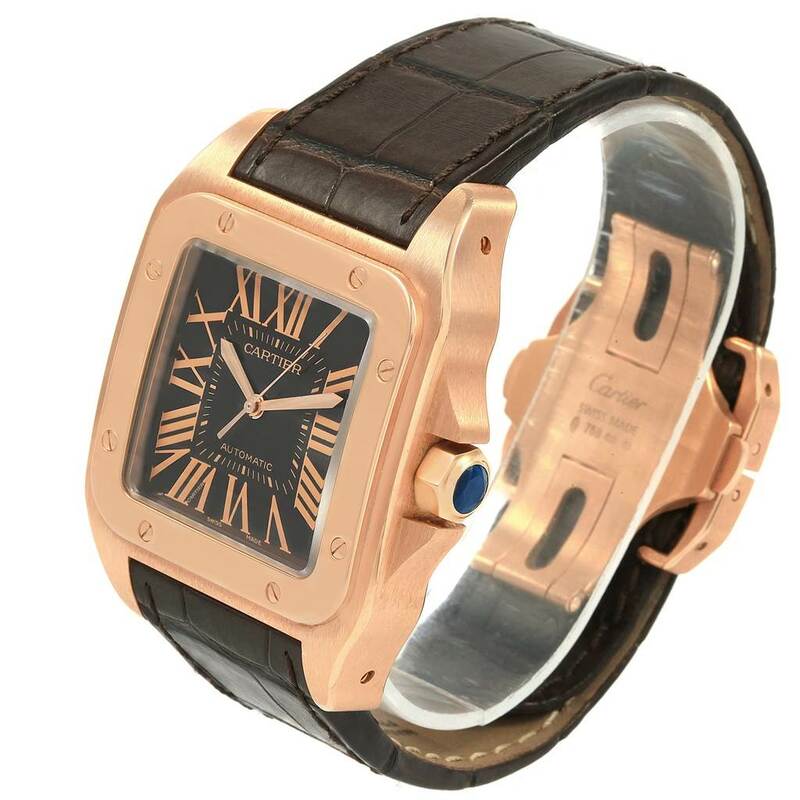 Brown leather strap with 18K rose gold double deployent clasp. 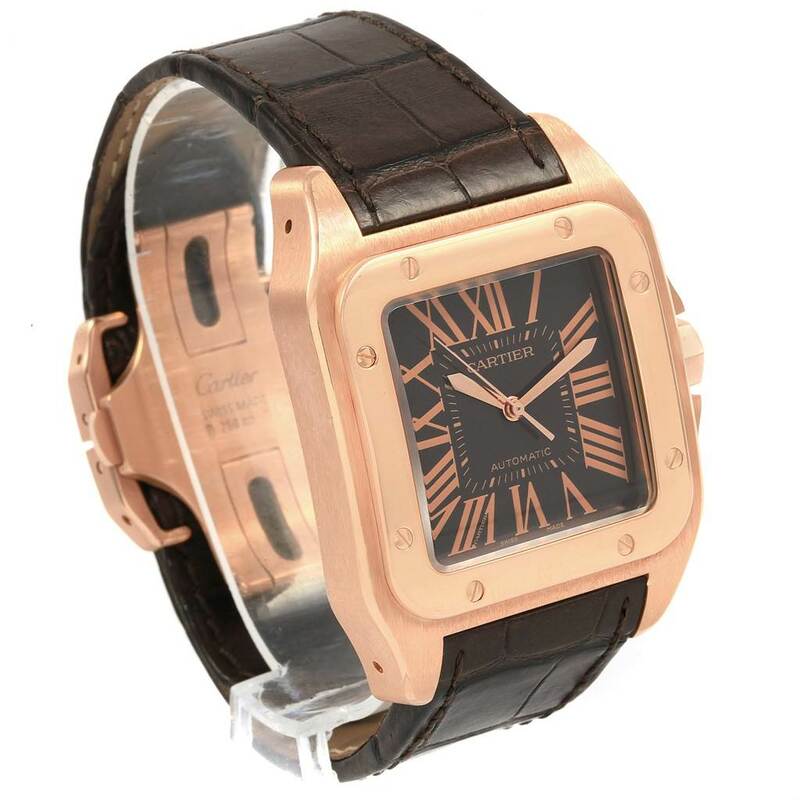 Cartier Santos 100 Steel Rose Gold Brown Dial Mens Watch W20127Y1. Automatic self-winding movement. 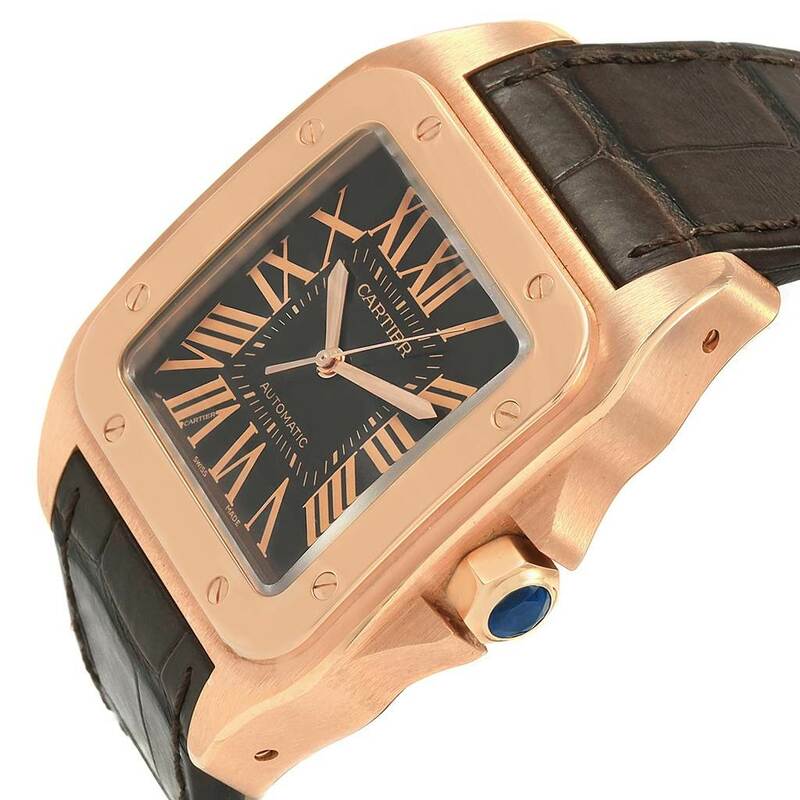 18K rose gold case 38.0 x 38.0mm. Octagonal crown set with the faceted sapphire.	. 18K rose gold bezel punctuated with 8 signature screws. Scratch resistant sapphire crystal. Brown dial with painted radial roman numerals. Inner minute track. Sword shape rose gold hands. 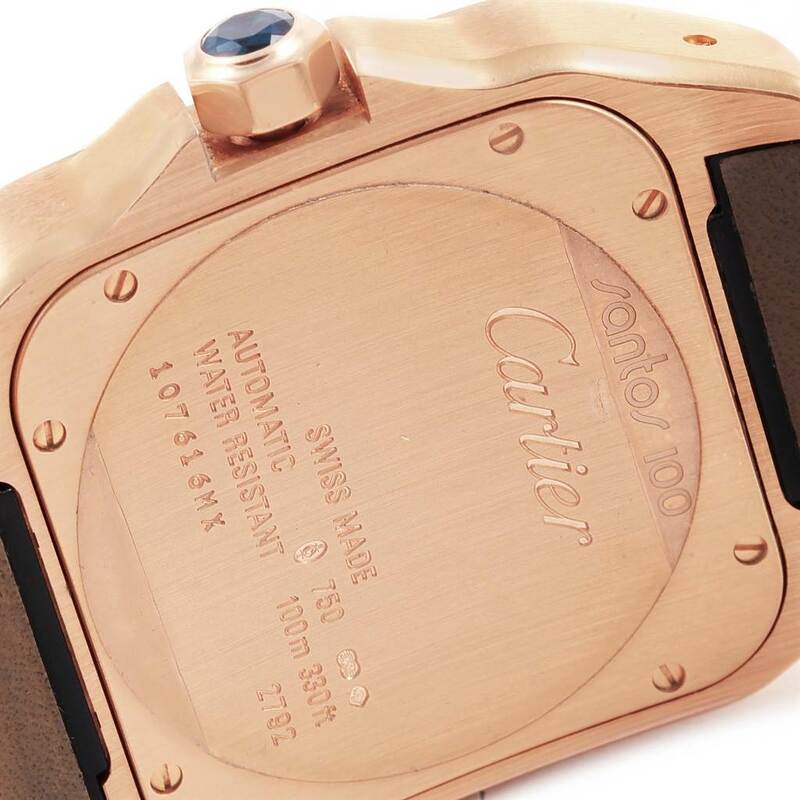 Secret Cartier signature at VII. 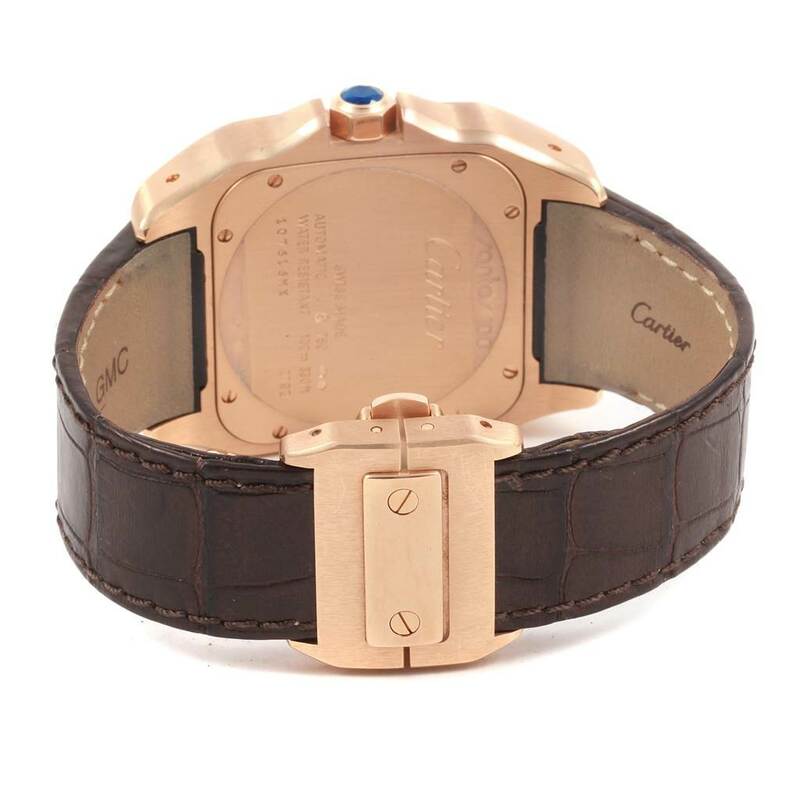 Brown leather strap with 18K rose gold double deployent clasp.